Discussion in 'Grappling Technique' started by PsyKahTik, Apr 7, 2008. Didn't see any threads about the Renzo Gracie Invitational in Bayonne NJ. Its this upcoming Saturday, and I was wondering if anyone from here planned on going. Im competing in Teens Novice, Middleweight (145-165). Ive been training for almost 7 months, and its my first tournament. Good luck though, should be fun as hell. Oh okay, gotcha. Makes sense now, but me on the other hand am 155-158ish and have room for 7 more lbs so no worries for me. I have never competed in a tournament before- invitational means you need an invite right? or is it open to anyone who wants to register? Invitational in that it is open to RGA affiliated schools and those invited by RGA. It's not open to everyone. That actually means the competition will be really solid, and without angry ninjas coming in pajamas and getting their arms broken. 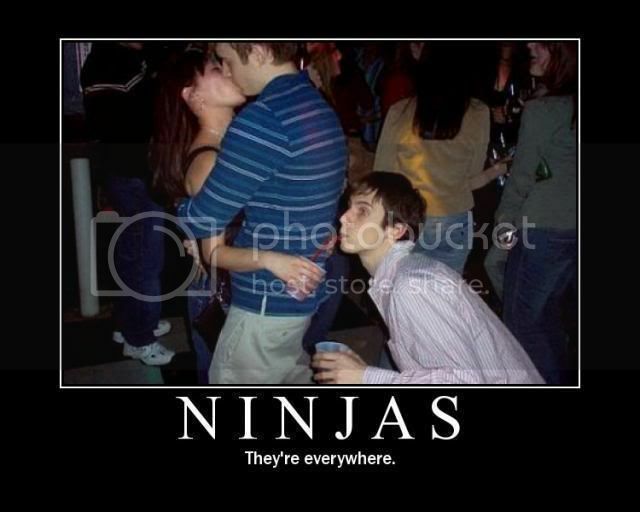 you mean ninjas dont train in the renzo gracie association? I wanted to go but i wont be there because of injury. Kimuralex tells no lie, he's everywhere! dude do you want to make my night? can you put my name somewhere in that picture? dude im dying!!!! ill b there, novice lightweight.. 159 lbs.. I'll be competing in the same division my friend. Where do you train?